With Built-in IC SK6812 in 5050 LED package, the RGB LED strips can be addressable and controlled seperatedly, each pixel of the three primary color can achieve 256 brightness displaycan, achieve 16, 777, 216 full colour, display and scan frequency no less than 400Hz/s. 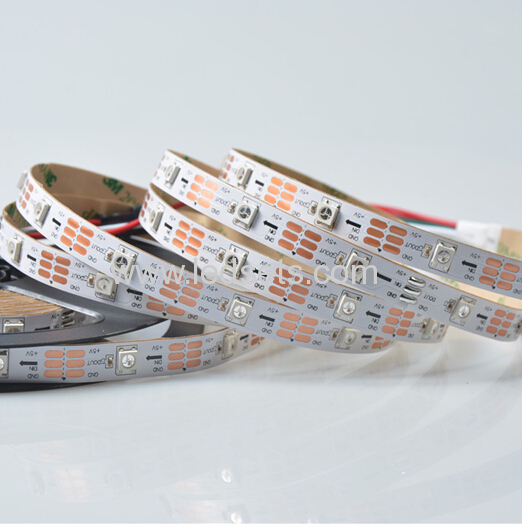 Digital RGB LED Strip lights are avaialble with 30LEDs and 60 LEDs per meter, both waterproof type and regular type. 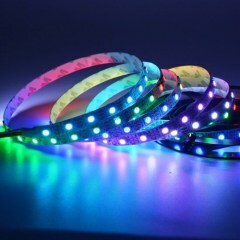 They can used for decorative lighting in DJ ,Bar, Disco room or KTV, and also work as image or video player. 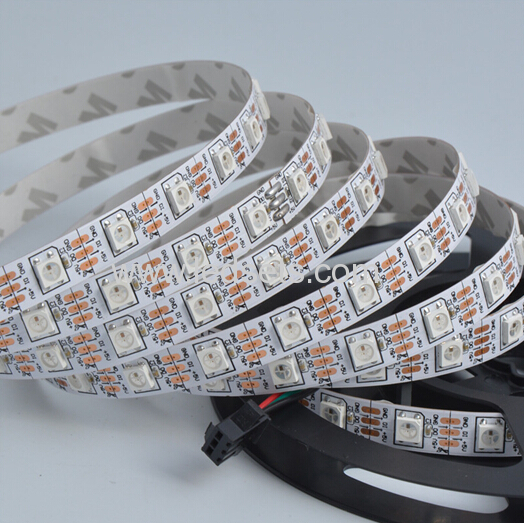 6, Samples will be sent out by DHL or UPS, as you like.